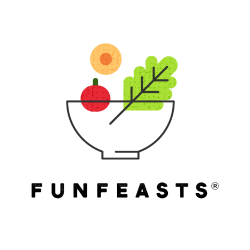 Food Recipes, Local Restaurants | www.funfeasts.com: For serious olive lovers - the Olive Pit! For serious olive lovers - the Olive Pit! Our family used to joke that my father hated to fly - but considering how many hours we logged in the car on vacations it probably wasn't a joke. Endless hours of nothing and many roadside tourist traps later, we would arrive at our destination. 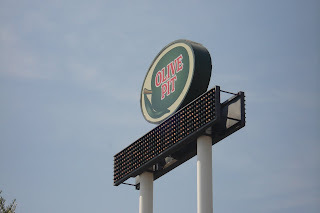 One of the tourist traps we loved was the Olive Pit. Located in Corning California (if you are driving out of the Bay Area it's after I-505 turns into I-5) and north of Sacramento - the signs can be seen well before you arrive in Corning. What did we love about this place? On a recent road trip to Seattle I stopped at the Olive Pit and it's the same as it was years ago - olives, lots and lots of them. I think I actually breathed a sigh of relief when I began to see signs reminding me of "The Olive Pit in 24 miles" as my car traversed the asphalt and braved the 100 degree heat outside. In a wierd way it's refreshing to see that this place has withstood the years, the economy and the fickle tastes of the public. Perhaps it's not really so much the olives in the store as the memory of family vacations from years past. Much like road trip memories which linger but probably weren't as fabulous at the time, you can't help but smile years later and wish you could go back again. At least with the Olive Pit you get a nice jar of classics for cocktails at your final destination!